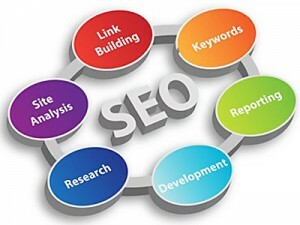 SEO or Search Engine Optimization, for accounting firms and other professional practices, is a procedural strategy whereby a CPA firm expends some of its money and/or valuable time systematically adjusting its Internet-based content and related website factors with the goal of ranking higher in the ‘organic’ (or natural) search engine results served up by Google (principally) and Bing and Yahoo (secondarily). One of the immediate things we do when exploring an SEO for CPA firm relationship with an accounting or other professional services firm is perform a comprehensive assessment of their website. We aren’t really checking how visually aesthetic their website is (that is secondary), we instead examine what their site is doing to be visible in search engines’ queries. We look at meta tags and page titles, site structure, links and how keywords in headlines and body content play both semantic-ally and mathematically. While some CPA firms really “get it”, most accounting websites are far behind the curve when it comes to SEO. Notwithstanding, the rules of the accounting firm SEO for CPAs ‘game’ (yes it IS a form of gaming) are in a state of constant flux. Older SEO tricks that the relatively few Internet savvy accounting and CPA practices used — embedding reciprocal links between unrelated websites, stuffing lots of keywords into website pages and utilizing excessively keyword rich content that rank highly but read like gibberish are losing favor as search engines get increasingly smarter. Organic search ranking (showing high up) in non-paid search results is a key avenue to drive prospects to an accounting firm because most searches won’t get click-thrus beyond more than the first page of search results – but a high visibility search ranking can produce large numbers of client prospect inquiries. Complicating the accounting firm SEO game, Google has recently added a search parameter to its famous algorithm called Search Plus Your World, which deems more importance on your accounting firm’s social network and what it finds interesting in deciding the priority of search results you’ll see when logged into your Google account. As a result Google search results are increasingly variable – frequently two querents performing an identical search will receive very different search results. If traditional search optimization is not working the way it once did for an accounting firm – one way to show higher in search is to constantly generate unique and quality accounting-related content that is relevant to what your ideal future accounting clients are Googling (or Binging or Yahooing) for. No matter where you are sharing accounting-related information – whether it’s via social media or other sites – as many links as possible should point back back to it. Quality links, mind you – poor quality links will hurt you. Your accounting firm SEO website should have a blog (WordPress is our favorite) that allows you to update content easily and with a minimum of editing. Your blog should be updated four to eight times a month, at a minimum, with relevant content that your target customer might be searching for. 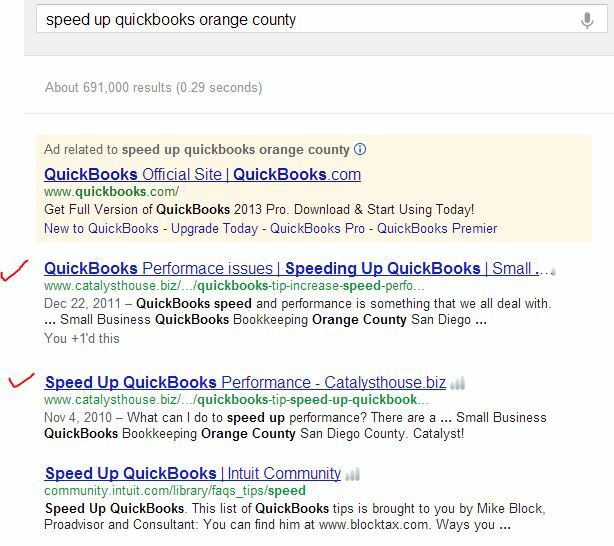 We’ve generated much Internet search traction, attracting existing QuickBooks and Sage users who may be looking for a new consultant or accountant, by generating unique blog posts about typical accounting error conditions and how to fix them. The Web can be a tough place to get seen. Firms can spend a lot of money on a beautiful dream websites, exquisite graphics, and then count the number of visitors it receives per week on the fingers of one hand. CPAs and accounting firms have historically used traditional non-digital marketing, expecting to attract attention from new client prospects as prospects’ needs are identified. The reality is that a focused accounting firm SEO strategy can do wonders in bringing these prospective clients in the door.